It wouldn't work at all, took this sights advise and bought a new lead. Was difficult to find - Maplin don't stock 18V so went on internet and found one on Ebay from China only £5.98, but got a higher ampage, didn't work at first but a persisted and now everything is great, had to redo timers but library was still there. Thanks guys for this help. Recorded programmes showing in green and purple only. when power is switched on-box displays starting message only and remains in this state. My TVonics dtr z250 is stuttering and freezing whilst recording BBC (MOTD!) and watching the unfinished recording. When the recording has finished the remainder of the recording is fine on play back although where it was freezing and stuttering there is no change. Its seems the dual recording functionality is poor on particular channels - or at BBC1??!! Please help as I know its a discontinued box and Tvonics have gone bust. All problems on this page have been submitted and answered by users. 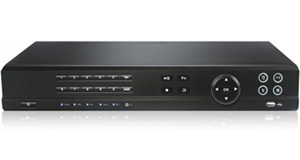 If you have a problem with the TVonics DTR-HV250 DVB-T 250GB, please submit it below and we'll post it here. Problem: Recorded programmes showing in green and purple only. Problem: when power is switched on-box displays starting message only and remains in this state. Problem: My TVonics dtr z250 is stuttering and freezing whilst recording BBC (MOTD!) and watching the unfinished recording. When the recording has finished the remainder of the recording is fine on play back although where it was freezing and stuttering there is no change. Its seems the dual recording functionality is poor on particular channels - or at BBC1??!! Please help as I know its a discontinued box and Tvonics have gone bust.